By enabling the payment schedule, your claim will undergo assessment stage every time you submit a claim. 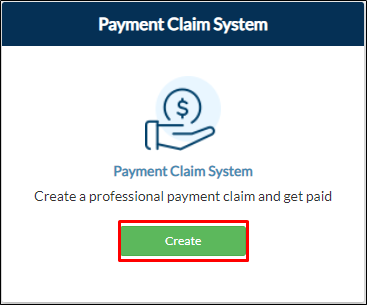 There are two ways to enable/disable payment schedule: (a) through PCS Dashboard, and (b) through Payment Claim System tab. 2. 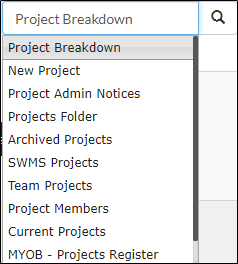 If you don't have existing project breakdown on the project, you will be redirected to the Project Breakdown page. If you have an ongoing claim, click Edit Project Breakdown. 3. Under Price Breakdown, proceed with Claimant / Scheduler Details. By default, the payment schedule is turned off. Tick the toggle button to enable. 3. By default, the user is the scheduler. Type the claimant name on the blank field to add another scheduler and click on the suggested user. Note: Click Remove to remove a scheduler. Click Add to add another field to input the scheduler name in. 4. 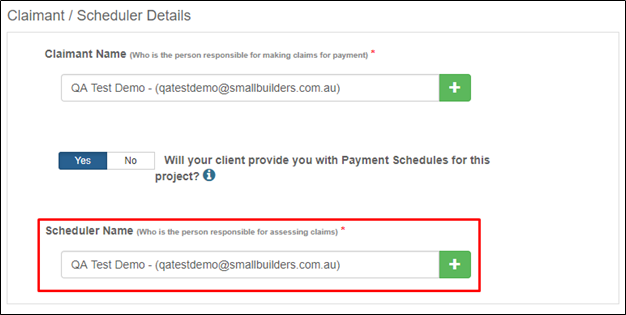 Fill out the other required details of the project breakdown then click Save. 3. You will be redirected to the Project Breakdown form. On the Claimant/Scheduler Details, the default value is No. Click Yes to enable. Fill out the scheduler details. 4. By default, the user is the scheduler. Click “+” sign to add another blank field where you can enter another scheduler. 5. Fill out the required details then click Save.